From the cannon used as a “starter’s pistol” to the “dog-tag” medals soldiers place around all participants necks at the finish line, this unique event is “military” from start to finish. 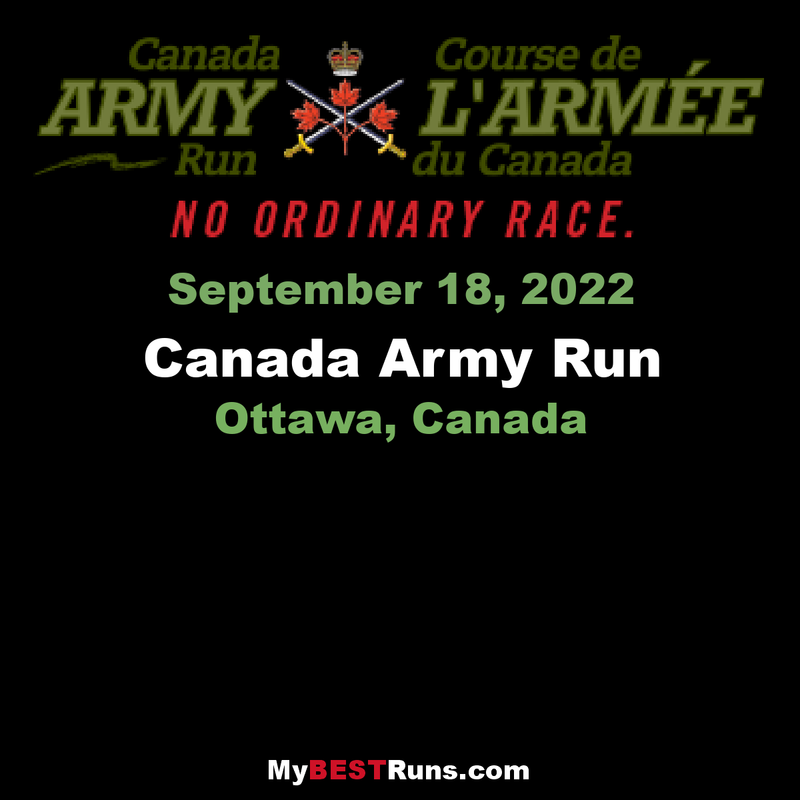 More than anything, though, Canada Army Run, is about Canadians and the Canadian Armed Forces – Air Force, Army, and Navy – joining together in the spirit of camaraderie and community. It’s a chance for the troops to extend the military esprit de corps to Canadians and to thank them for their support. And, it’s an opportunity for Canadians to say thanks to the men and women who serve them in so many ways at home and abroad. Soldier On is a fitness and support group that helps injured veterans regain their fitness and trains them for the race. 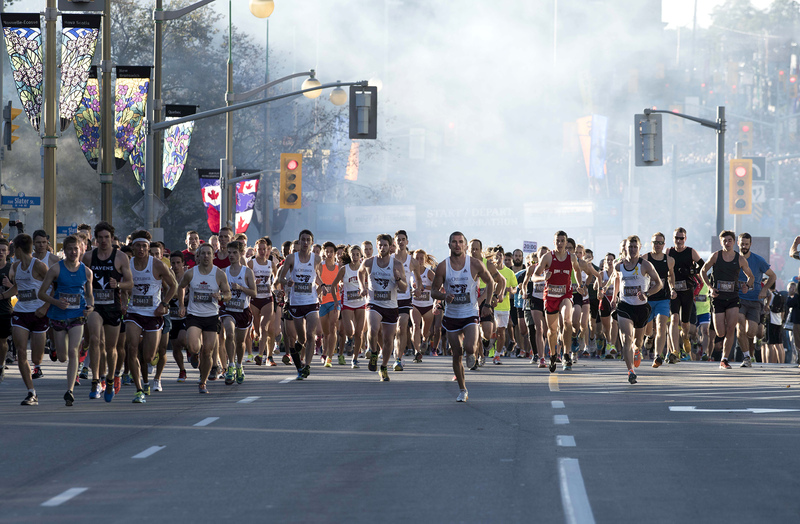 Canadian runners can chose a Soldier On veteran to run with, one of the reasons this race grew by 50% in 2009, making it Canada's fastest growing road race. 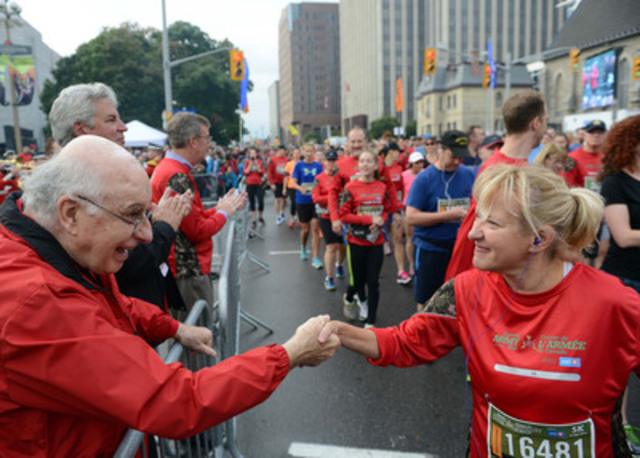 It's a great race where Canadians can actually reach out to the veterans and offer their thanks and appreciation for their service. Some top runners have chosen to hang back with a vet rather than set a new record time--something that leaves a lasting impression on those who have served and sacrificed for their country.